No Pitbull Breeds. Call for details. 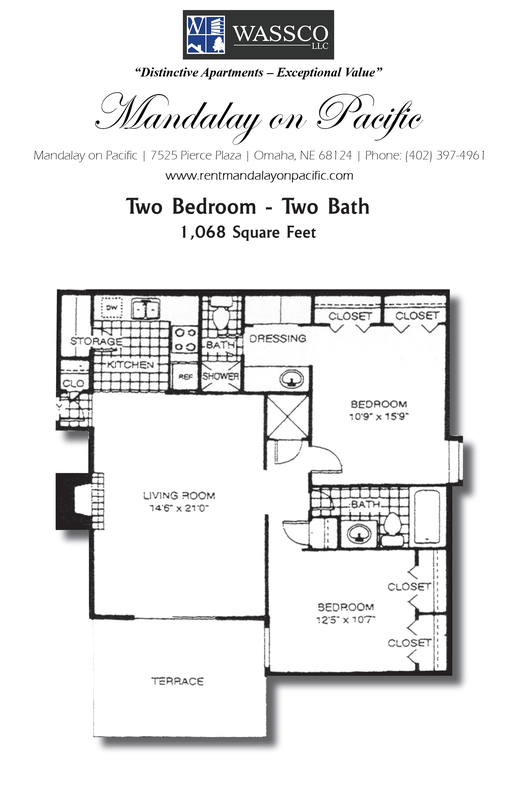 WASSCO, LLC is your one stop shop for apartment living in Lincoln and Omaha, Nebraska, as well as office space. Visit our property sites below to learn more! The grass is greener at College Park Apartments! Come experience an affordable lifestyle where our large one, two and three bedroom apartment homes offer FREE Cable Channels 2-67, fully equipped kitchen with microwave, patios, and balconies! 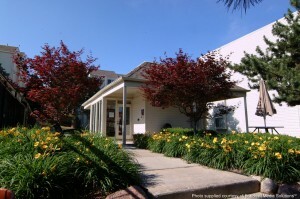 Our well-maintained community has laundry facilities right on-site and controlled entry buildings. We are located at 84th and O Streets within walking distance to the Southeast Community College Campus, and close to I-80, shopping, and dining. 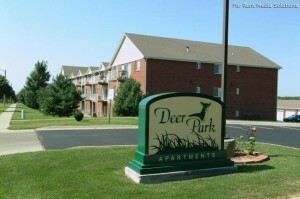 Deer Park Apartments offer spacious one, two, and three bedroom floorplans designed with your comfort and quality in mind. Special interior features include washer/dryer hookups, large walk in closets and modern kitchens with Whirlpool appliances which include microwaves and ice makers! Garages with openers are also available! Deer Park has a luxurious residential clubhouse, sand volleyball court, basketball court, complete fitness center that can be available 24 hours and sparkling outdoor pool. 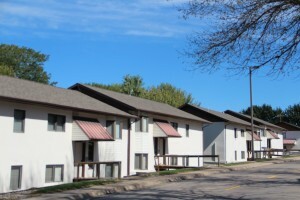 College View Apartments conveniently located just off of 84th and O streets, our community boasts a great location adjacent to a bike trail and walking distance to Southeast Community College! We are also just minutes from the finest shopping and restaurants Lincoln has to offer and you will have easy access to the interstate. Our caring staff and 24-hour emergency maintenance will take care of you! Call or stop in today and let our knowledgeable team help you find the home that is perfect for you! Located in the heart of downtown Lincoln, Nebraska and just a short walk from the University of Nebraska at Lincoln’s Memorial Stadium and the new Pinacle Bank Arena. The downtown is a thriving business hub with shops, galleries, museums, theaters, restaurants, hotels and bars. 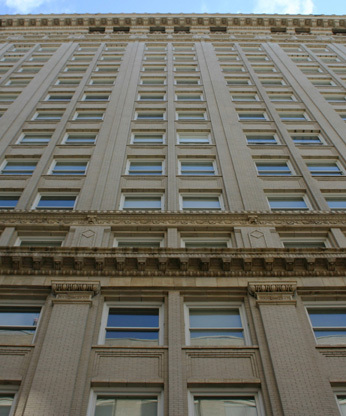 If you want to live in the heart of the city within walking distance to the Old Market District, fabulous entertainment and shopping, then Orpheum Tower Apartment Homes is the best address in town! Our beautiful historic apartment homes are designed with your comfort and busy lifestyle in mind. Our homes combine historic elegance with modern conveniences. You will love how our homes provide open, comfortable living all at an affordable price. 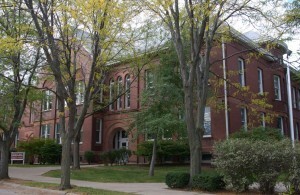 The original Columbian Elementary School is a former public elementary school located at 3819 Jones Street in Omaha, Nebraska. 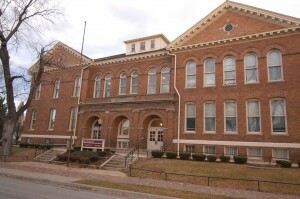 Following the rehabilitation in 1992, the former school was converted to residential apartments, featuring unique studio, one bedroom, and two bedroom floor plans with high ceilings and large windows that offer fully equipped kitchens, controlled entry, and laundry facilities. Call today for your personal tour of your next apartment home! 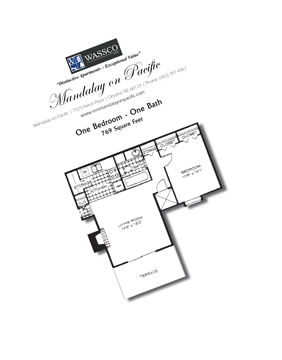 Comfortable, convenient urban living with amazing views of the downtown area! 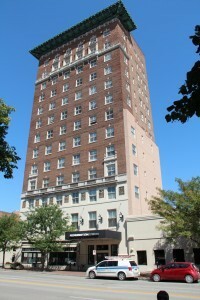 Kensington Tower brings you elegance and beauty. Choose from studios with walk-out patios, one-bedroom, and two-bedroom arrangements and enjoy the downtown landscape. One block away from the Orpheum Theatre, Kensington Tower is just a few blocks from the major office district and Central Park Mall. A brisk walk takes you to the wonderful attractions and vibrant restaurants of Omaha’s historic Old Market. 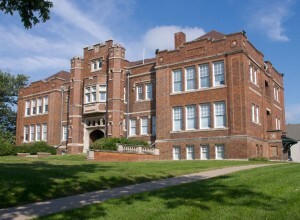 Welcome home to Lincoln School Apartments located in Downtown Omaha! You will love our spacious studio, one and two bedroom apartment homes for rent with huge closets, 12 foot ceilings, dishwashers, central air, and controlled access entries. 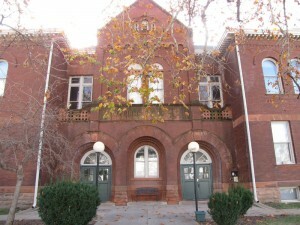 Our charming community is a converted school house! 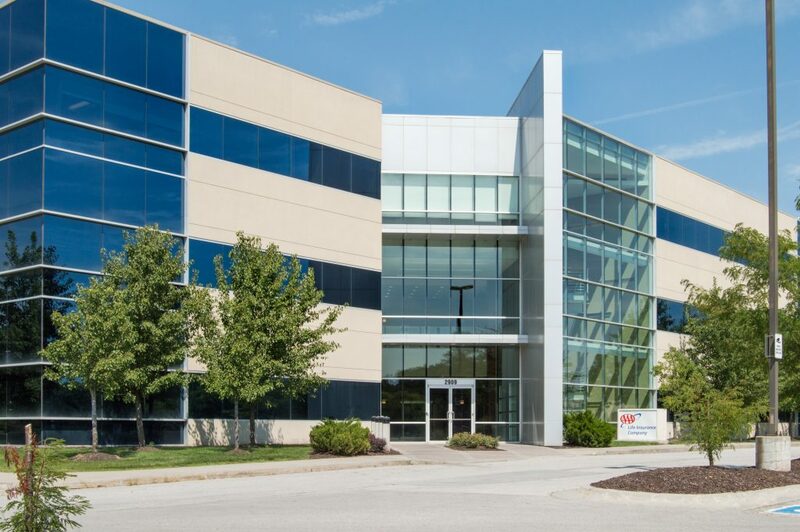 Located at 1730 S 11th St. We are located just minutes from Omaha downtown area, the Lauritzen Gardens, major employers, and shopping, dining, and entertainment we’ve got your night life and your daytime life covered. 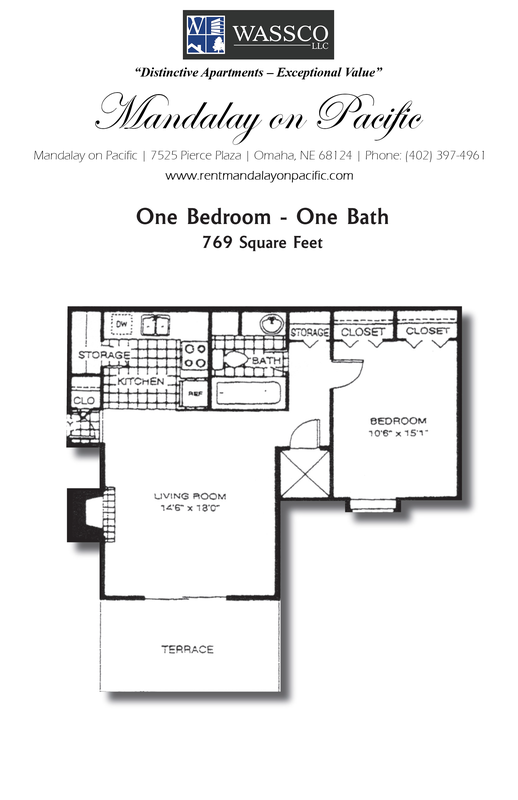 Mandalay on Pacific located in Southwest Omaha, Nebraska. 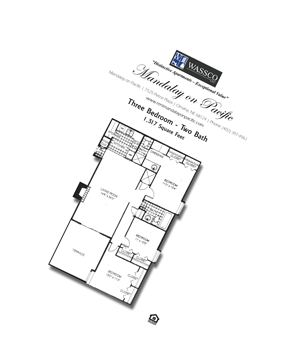 One, two and three bedroom apartment homes that feature breakfast bars, fireplaces, vaulted ceilings and skylights. All of our homes have large balconies, large kitchens with built-in microwaves and walk-in pantries plus spacious closets. You are sure to enjoy our lovely courtyard setting and sparkling saltwater swimming pool with sun deck. 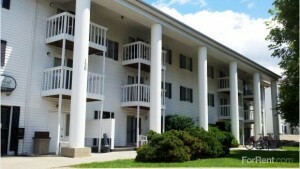 Located just minutes from the UNO Campus, Elmwood Park, dining, and entertainment. 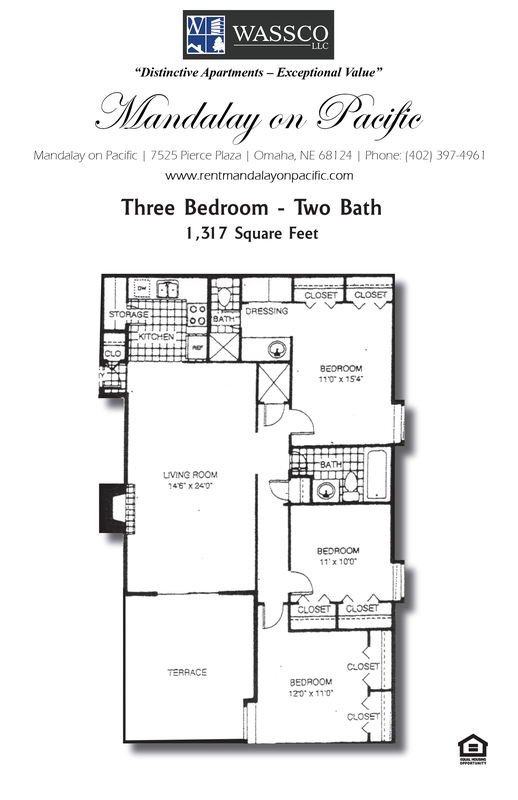 An Omaha Landmark can now be your new home with large two and three bedroom apartments available with plenty of closet space, 15 foot ceilings and 9 foot windows. All apartments are being renovated along with updates to the interior and exterior of the building. We offer controlled access entry, laundry facility on-site, off street parking, and 24 hour emergency maintenance. Our renovated apartments have all new flooring, window coverings, light fixtures, closet doors and two tone paint. Let us welcome you home to the charming Saunder’s School Apartment Homes! We offer spacious, remodeled one and two bedroom apartment homes for rent with 15 foot ceilings that provide an open feeling, fully equipped kitchens with microwaves, and large living spaces. Our cozy community offers controlled entry systems, laundry facilities, and elevators. We have parking available. We are close to schools, shopping, and dining! 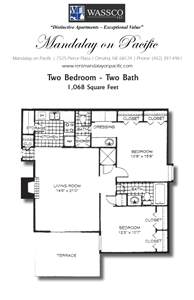 Call today for a personal tour of your next home at Saunders School Apartment Homes! 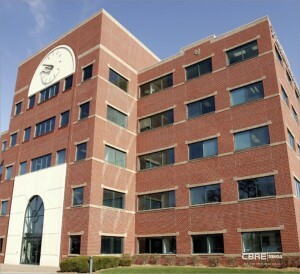 Conveniently located near shopping and restaurants just west of 90th & W. Dodge Road, Embassy Tower is a prominent landmark building in Omaha. A full floor is available. 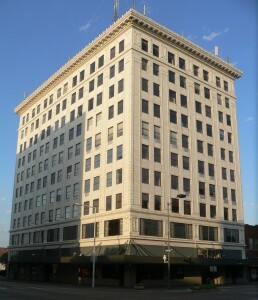 Located along West Dodge corridor. Common area renovations are underway. Base year lease structure. For more info and contact information, please download this sales flyer.